See which parts of the sprawling Tampa Bay region have fared best in the current real estate boom. Get to know the billionaire in the Big (Red) Apple behind St. Pete’s next great skyscraper. 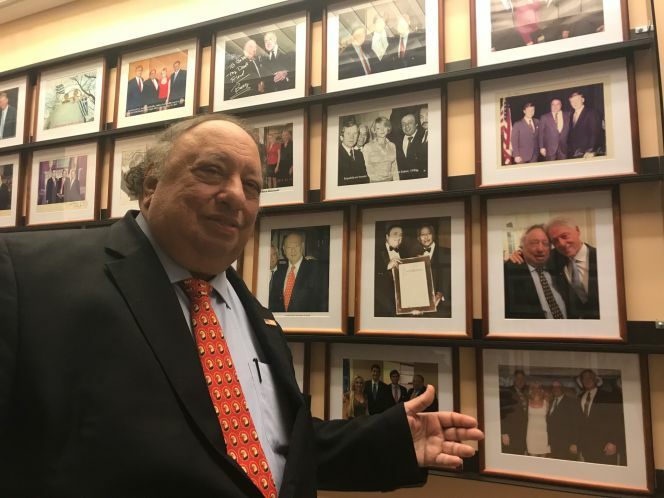 Billionaire John Catsimatidis has a favorite word: Opportunity. The Financial CHOICE Act passed along party lines Thursday. Average U.S. 30-year mortgage rate falls to 3.89%. Freddie Mac: The 30-year FRM fell for the fourth week in a row, the lowest level in nearly seven months; a year ago, it was 3.60%. The 15-year FRM eased to 3.16%. 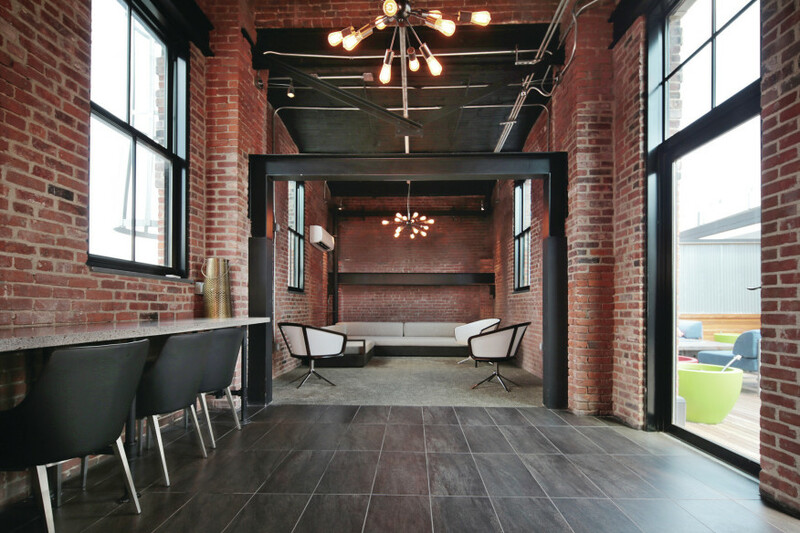 How Developers Are Adapting to Residents’ New Live-Work-Play Lifestyles. As the lines between home and work fade with opportunities of remote work and entrepreneurial ventures, residents want a community where they can do it all. Categories: CFPB, Construction, Housing Inventory, St Petersburg, Tampa Bay, Urban Living | Tags: Dodd-Frank, Downtown St Pete, Financial Choice Act, Hot Neighborhoods, John Catsimatidis, Red Apple Group | Permalink. Providing housing for millennials is a topic that has many implications. Dowell Myers, director of demographics at USC, approached the topic at HIVE with several esteemed colleagues. Watch the follow up panel session. But what happens now? What are some of the steps that the housing leaders and innovators can take to make a difference and provide future direction? Answers to HIVE attendees most pressing questions are below. And the conversation continues at HIVEforhousing.com. Q: Is the multifamily boom partially buoyed by the over reach of Dodd Frank’s restriction on mortgage lending qualifications? Sue Rossi: No – the multifamily boom was bound to happen based on the demographics. Multifamily housing is most appealing to those at the very beginning or the very end of their housing “lives.” Those would include young adults not yet ready for homeownership or seniors following homeownership. Since there is a disproportionate number of both of these groups, the increase for demand for multifamily housing was predictable. 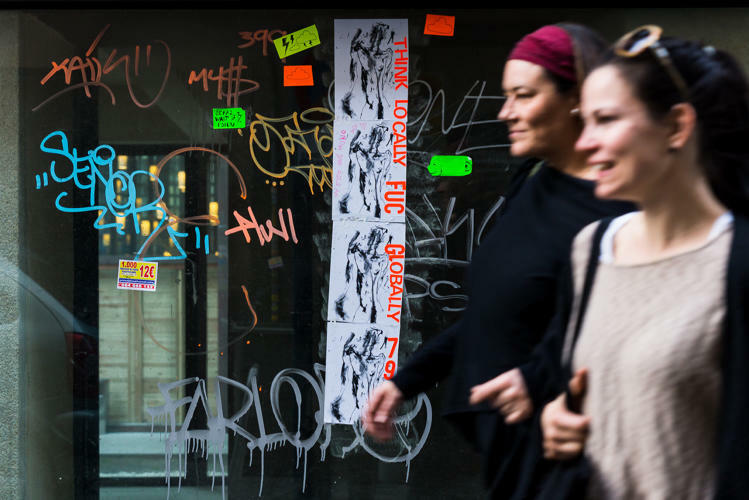 Q: Will income inequality be more severe among millennials? Dowell Myers: This will likely increase because economic opportunities are increasingly divided between the college grades and others, and the college graduate share of the millennials continues to grow but is not the majority. Rossi: Not in my opinion. While salaries for entry level jobs may seem low, it’s all relative. 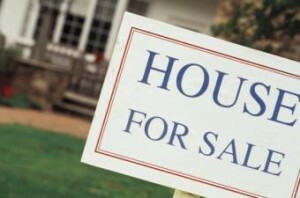 Housing prices fell 40 percent and interest rates fell 50 percent. Those young adults who purchase a home at current prices and interest rates are still getting into homeownership with a much better future equity position than their parents, all of whom bought their first homes at double digit interest rates with incomes far lower than today’s graduates. Q: What issues do you hope the next HUD chairman addresses over the next four years? Rossi: My hope is that they rethink the “skin in the game” mentality and come to the realization that a minimum down FHA buyer is a much different buyer than an 80/20 buyer who borrowed 100 percent. While most of the buyers who lost their homes did have no down payment, the lack of down payment cannot be blamed to the exclusion of other sub-prime practices such as leaving the tax and insurance out of PITI and qualifying simply for principal and interest (P&I). When those buyers were qualified based solely on P&I (which was allowed) the surprise of the forthcoming tax bill caused them to refinance to pay the bill, on top of an increase in payment for future escrow, a double whammy that took them down. The lack of skin in the game mentality bled into the FHA culture, which successfully lends to buyers with minimum down payment and the result was the two buyer types became portrayed as one. Additional restrictions were imposed on FHA buyers that had nothing to do with the sub-prime practices. So my hope would be that the next chairman brings the down payment requirement back down to three percent; allows willing sellers to assist buyers to the previous levels and eases up-front MIP requirements. Last, but not least, I would like to see a new Student Loan Debt Consolidation Mortgage product added to FHA’s menu. Q: When millennials are ready for home ownership what are they looking for? What’s most important to them? Rossi: Millennials will buy homes for all of the same reasons as those who came before them. Before they have children, they all want a dog. That means they need a yard, and either their parents or their apartment won’t let them have a dog, so they buy a house. They want to play their music loud, which isn’t allowed at home or by their apartment. They want to entertain, or they get into a romantic relationship that requires privacy but doesn’t fit with their roommate setup. They will buy because they get married, have a child, or because their lease expires. Millennials will buy at the same rate as the Baby Boom, and for all the same reasons – they just are not there yet. Q: How/if unaffordability of houses in good school district forces families with kids to rent? Rossi: Families with kids have always rented in good school districts if they can’t afford to buy there. The public school system is inherently socioeconomically divisive wherever real estate taxes fund the schools. 1) Strong schools create demand for a community; 2) strong demand for the community drives up prices; 3) strong prices result in a strong tax base; 4) a strong tax base results in a strong public school budget; 5) a strong budget results in the best teachers, more programs, a wider variety of extracurricular and strong ratings; 6) strong school ratings create demand for the community and strong demand drives up prices and the cycle repeats. The only way to address this particular issue is to restructure public school funding at the local level. Q: As we talk about innovation and disruption, why are we trying to find a way to make millennials follow the same trends as past generations as opposed to creating a new model for them? Myers: The millennials will force new models by their own experimentation. No one is forcing them to follow past generations, but we should not “force them” to remain in their two-bedroom apartments where they rode out the great recession either. We assume they will want more housing space as they advance in their adult lives and as their careers progress. This will especially be true if they have kids, as 75 percent of them well. But, their exact neighborhood choices and preferred housing modifications are still experiments in progress! 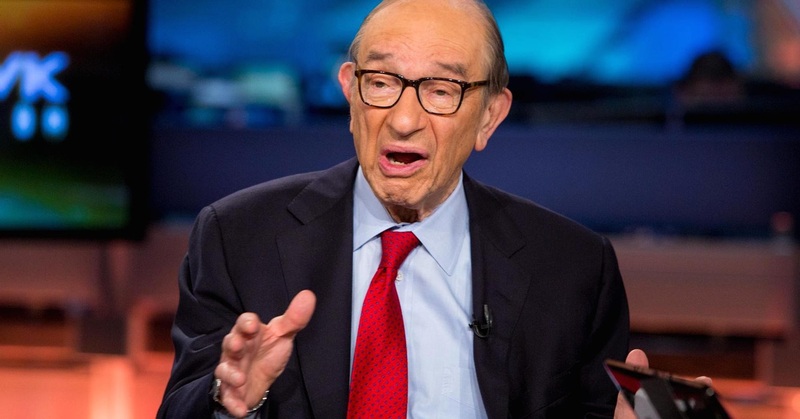 Rossi: I don’t think we were encouraging millennials to follow the same trends. Rather, the suggestion of a Student Loan Debt Consolidation Mortgage would result in an innovative path for those who have no vision of how to fund a college education and follow it up with homeownership. This program would benefit not only first time buyers who are saddled with debt, but also existing homeowners who qualified for their starter home but deferred the debt –only to take on a mortgage payment and subsequently have the student loan debt re-enter their financial picture. Many existing homeowners are currently stuck in their starter homes and some wouldn’t qualify for the home they are currently living in despite the fact that they already own it now that their deferment has expired. This program could become a strategic plan for families as they plan for college as well as a tool for sharp high school counselors when working with students who don’t think college could be available to them. Q: Why was the panel so for-sale focused? Myers: The big question about millennials is not will they rent, which they already do, but will more of them transition to ownership. That has implications for their spatial location, their wealth accumulation through home appreciation, and their impact on the rest of the housing market. Moving more millennials into ownership also benefits renters because it will ease the extreme competition now felt among renters. Rossi: You can’t discuss new construction, first time buyers and plan for what people will BUY to the exclusion of what they first have to sell. Buyers are not an independent group of people that operate autonomously. Buyers are first SELLERS, with the sole exception of first time buyers. Real estate is not looked at from a supply and demand perspective as intensely as it needs to be. Too much supply brings prices down as it does in any other industry. Lackluster demand also brings prices down. The only thing that brings prices up is when demand exceeds supply. Current demographic distribution threatens the balance of supply and demand due to the enormity of the Baby Boom, flanked by the enormity of the millennials, with an insufficient segment wedged between the two and causing a log-jam. A delicate balance has to be met in order for prices to rise without skyrocketing and to ensure that prices don’t collapse under the weight of the Baby Boom retirement liquidation. 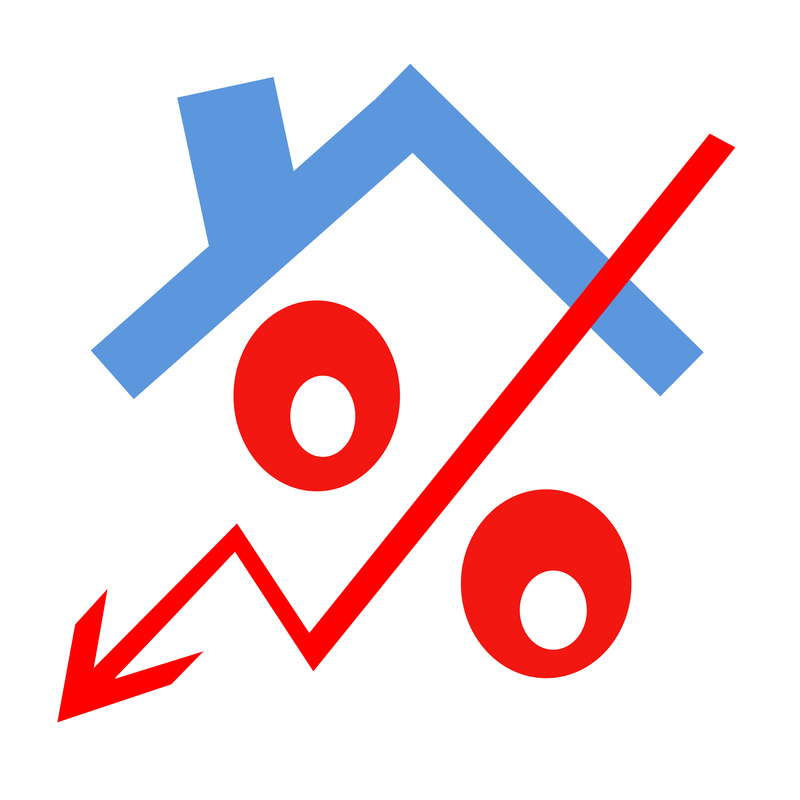 The barometer to measure that balance is the first time buyer share of market. Q: How will the increase in rental rates impact the millennial home buying volume? Will higher rents increase home buying or reduce ability for a down payment? Is there a potential draw for millennials to cities with lower cost entry level home prices? Will these impact demographics as they age up into marriage? Myers: High rents slow the savings of a down payment, but more importantly rising rents spur the desire to purchase a home and have something to show for your monthly payments. 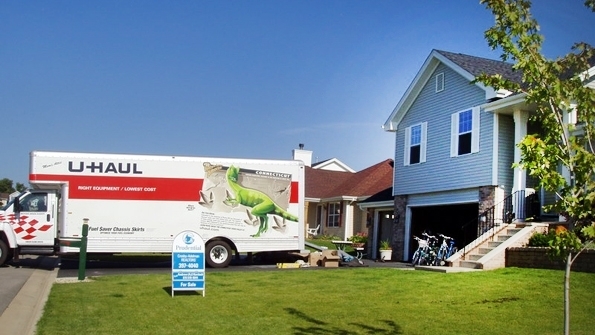 Relocation to markets with more affordable homeownership is definitely a spur to millennial migration. Those more affordable areas will capture more than their share of 30-somethings and also a greater share of families with children. Rossi: Increasing rents won’t impact home buying as much as the experts would think it should. If rent rises, renters can add a roommate to offset expenses, double up and take action that’s not really practical as a homeowner. The bigger issue impacting home buyers is their ability to qualify under their debt level, and down payment requirements (and misperceptions). Rent levels inhibit their ability to save a down payment but don’t motivate them to buy as much as would be expected. Cities with lower cost entry level home prices would have lower cost of living across the board, so that becomes an equalizer as the income levels in those areas would reflect the cost of living which, in turn, is reflected in home prices. Q: Can the millennial and Generation X dilemma of student debt be solved on the west coast where it’s ten times more expensive? Rossi: Yes. Despite higher home values on the west coast, college tuition doesn’t change because of the location of the college. Further, where a student attends college is no indication of where they might purchase a home. So graduates with college debt are bringing the same amount of debt with them no matter where they relocate. Because home prices on the west coast are higher, the student loan portion of their total debt is not as disproportionate as it would be in a less expensive market. A $30,000 student loan balance would only be 10 percent of a $300,000 home out west, where it would be 20 percent of a $150,000 home in the suburbs of Chicago. Therefore, my proposal of a Student Loan Debt Consolidation mortgage that would allow a buyer to borrow up to 125 percent of purchase price in order to roll in their student loan balance would be successful in either market but even more successful in the more expensive markets. Q: What incentives are needed to motivate millennials to purchase an entry-level home in C markets? Rossi: Millennials, like all who came before them, will purchase a home in whatever market they are qualified to purchase. Depending on their income level, debt level, interest rates and real estate taxes, if a first time buyer is given an approvable price point they will find a home in whatever market that allows. While a “C” market may be an entry level market with the goal of moving in a few years or before a child becomes school age, buyers do buy in every market in the nation and there are no markets where absolutely no homes sell. Having said that, I believe there is a need for an incentive for first time buyers to buy from existing homeowners, which will ensure a sufficient number of trade-up buyers to maintain strong demand as Baby Boomers introduce an increasing level of inventory. Categories: Homeownership Trends, Housing Economics, Millennials | Tags: Dodd-Frank, Dowell Myers, Entry Level Housing, HIVE, HUD, Millennial Homebuyers, Student Debt | Permalink. 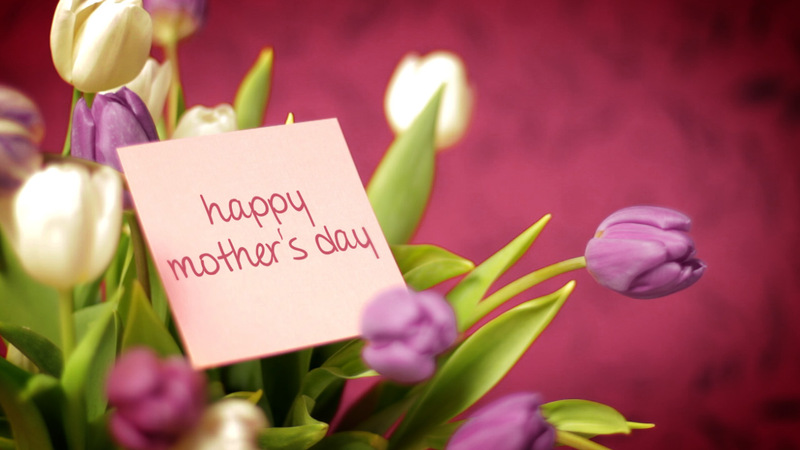 I make it a point every May to listen to Jimmy Dean’s wonderful tribute to Moms. If you haven’t heard it, it’s more than worth a few minutes of your time. Purchasing a luxury home can be expensive but so can moving the luxury items that you want to keep inside this new home. 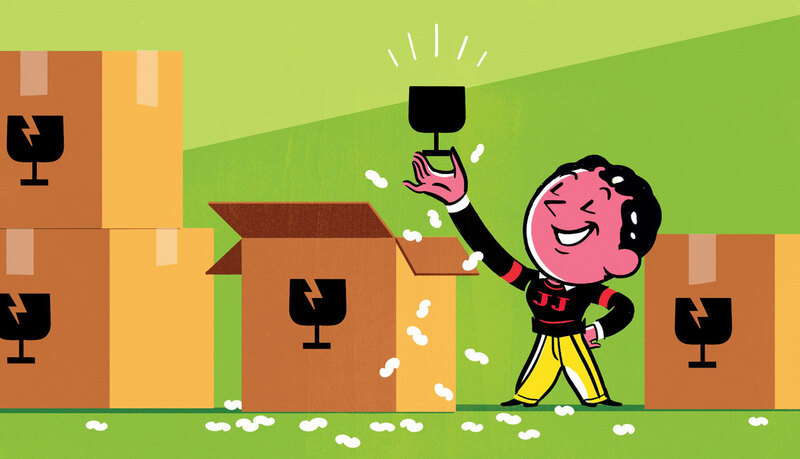 Buyers pay top dollar for white-glove movers that offer meticulous wrapping, climate control and custom crates to move rare items and other valuables. How a Reversal of the Millennial Rental Trend Would Affect the Multifamily Sector. Could a homeownership program help reverse the Millennial rental trend—and eat into multifamily profits? 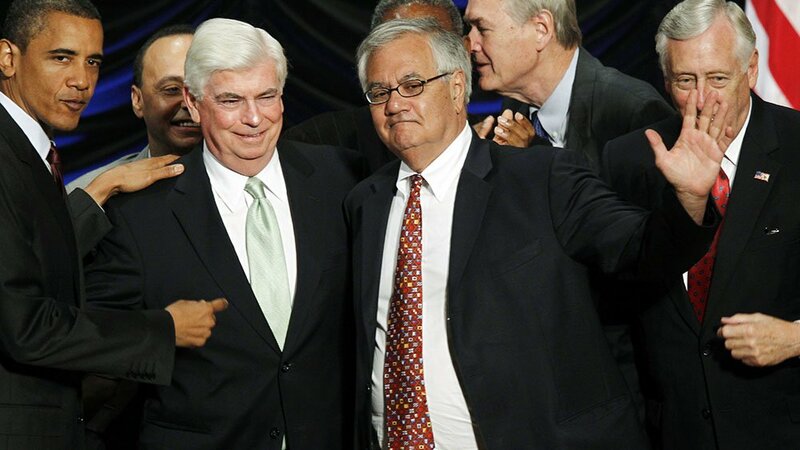 Court challenges threaten to eat away at the 2010 Wall Street reforms. Although home prices continued their upward trek all over the country, they are doing so at a much slower pace. Instead of renting an apartment, sign a lease that lets you live around the world, for those with an, ahem, uber-active business travel schedule. Roam provides short-term apartments with a communal feel, for today’s digital work-from-anywhere nomad. Categories: Financing, Home Buyers, Housing Economics, Millennials | Tags: CFPB, Dodd-Frank, Homeownership Program, housing bubble, Luxury Homebuyers, Millennial Rentals, Mother's Day, Moving Luxury Items, Multifamily Sector, ROAM, Warren Buffett | Permalink. How has the rule impacted the real estate, mortgage and settlement service industries — and consumers ? Initially, TRID impacted those industries and consumers in positive and negative ways. On the real estate side, real estate agents had expected — and were advised to prepare for — delays in the time it customarily takes to complete a mortgage transaction due to the prescribed deadlines and companies working with the new forms and rules. Increased closing times of 30 days or more were anticipated, but in February, the National Association of Realtors (NAR) released a study finding that its members were experiencing an average delay of 8.8 days. Did TRID cause problems acquiring documents, and how common were document errors? How were lenders affected by TRID? Things were reportedly hairier on the lender side. How widespread were TRID violations? In December 2015, Moody’s Investors Services released a credit outlook report in which its analysts estimated that several third-party firms found TRID violations in more than 90 percent of the loans they audited. Those observations were further validated a few months later, when a team of attorneys identified 10 of the most common mortgage application errors and problems. What’s the problem with document errors and problems? The attorneys also discussed the fact that investors were refusing to buy loans due to compliance problems and document errors — raising concerns about how this could ultimately affect liquidity in the mortgage market if these trends continued. How have the struggles to comply affected the industry? Struggling to comply with the rule, some lenders have begun winding down their mortgage operations or are even exiting the retail mortgage business altogether. 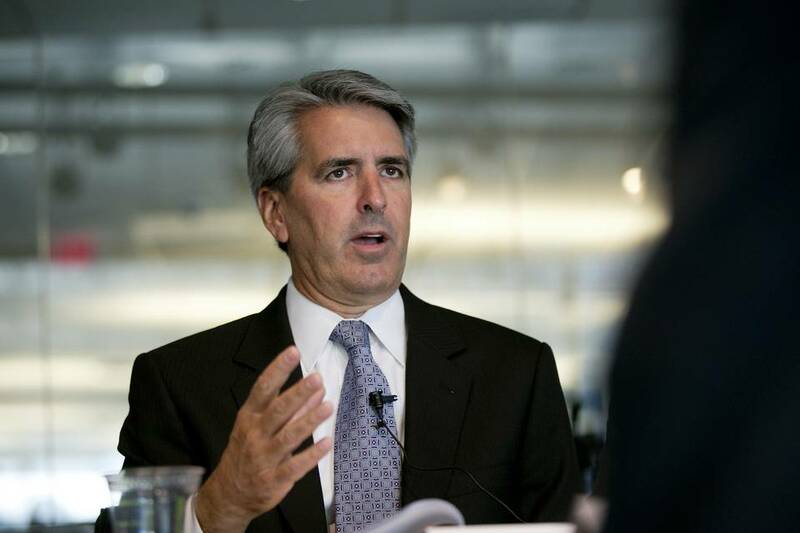 Transaction volume has played a part in those decisions; in February 2016, RealtyTrac said in its Residential Property Loan Origination Report that purchase loan originations during the fourth quarter of 2015 fell 24 percent quarter-over-quarter, the biggest quarterly drop in purchase originations in more than five years. Is TRID better for consumers, though? Whether the CFPB has succeeded in its mission of making the homebuying process simpler and easier to understand for consumers is up for debate. In February 2016, the American Bankers Association (ABA) released the results of a post-TRID mortgage lender survey showing that some banks are so burdened by the complex regulation, they are charging higher mortgage loan fees to consumers — anywhere between $300 and $1,000 in additional costs. In March 2016, real estate closing cost data and technology provider ClosingCorp released the results of a survey of 1,000 repeat homebuyers who compared their pre- and post-TRID homebuying experiences. More than half of respondents encountered “unexpected costs, fees and surprises” in their post-TRID mortgage transactions. Do consumers think the TRID forms are easier to understand? Respondents to the ClosingCorp survey were about evenly split on whether the new LE and CD forms are easier to understand than the old forms, with 63 percent of respondents agreeing with that statement, and whether they felt that their costs and fees were explained better in their most recent experience, with 65 percent of respondents expressing agreement. Did consumers shop for different service providers? Of the 78 percent of buyers who said they were informed that they could shop for different service providers, 74 percent of that group said they shopped for providers, but only 55 percent of them saved money — somewhere between $1,000 and $5,000 — as a result. And 57 percent of the respondents said the overall process of getting and closing a loan took more time in their most recent experience. Is there any positive feedback on TRID? In late March 2016, STRATMOR, a strategic advisory and consulting firm that serves mortgage lenders, released data from its MortgageSAT Borrower Satisfaction Program, finding that customer satisfaction was at 91 percent — the highest rate since STRATMOR started its program in 2013. So six months into TRID, the jury is still very much out. How does the CFPB assess companies’ compliance with TRID? This has been a major point of contention between the CFPB and the industries affected by the TRID rule since the rule issued. Does this have something to do with that “grace period” thing? Very good! Due to the rule’s complexity and the significant changes it brought to the mortgage transaction, the affected industries requested that the CFPB adopt some sort of preliminary grace period during which those who made a “good-faith” attempt to comply with the rule would be held harmless for any errors or compliance problems. This was something the bureau’s predecessor, HUD, agreed to do for the implementation of the reverse mortgage financial assessment rule in 2015 as well as the RESPA reform rule in 2010. But there was no grace period, was there? Correct; the CFPB staunchly refused to implement such a grace period, despite several industry trade groups attempting Congressional intervention. The most the bureau would agree to was to be “sensitive” for an undefined period of time and take actions that are “diagnostic, not punitive” against companies that can show they are making a good-faith attempt to comply with the rule. What resources does the CFPB make available to help with compliance? The CFPB has published a Supervision and Examination manual outlining its assessment process, which is available here. The CFPB also periodically issues Supervisory Highlights to apprise the public and the financial services industry about its examination program, including the concerns that it finds during the course of its completed work, as well as the remedies that it obtains for consumers who have suffered financial or other harm. What triggers a CFPB investigation? Past investigations have been initiated by consumer complaints, company failures, consumer lawsuits and even disgruntled former employees. What happens when an investigation is triggered? The CFPB typically provides written, advance notice to parties selected for examination and gives them 60 days to gather documents and submit them to the bureau’s examiners — however, notice is not required, and the CFPB may begin an examination with no prior notice given. What documents should the companies investigated expect to produce? Who is involved in the investigation? In most cases, the CFPB will investigate the lender and all of the service providers with whom it worked. 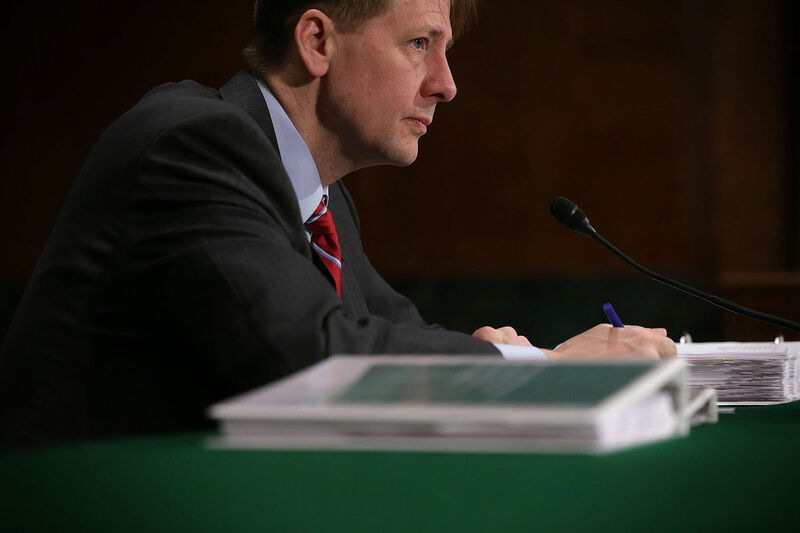 Does the CFPB share findings with those under investigation before the review is final? Before completing a review, the CFPB will discuss its preliminary findings with the party under investigation. If the CFPB issues an adverse finding against the party, that party may appeal the bureau’s conclusions within 30 days. Support offered for the supervisory findings. Only the facts and circumstances upon which a supervisory finding was made will be considered by the committee. It is the appellant’s burden to show that the contested supervisory findings should be modified or set aside. Upon conclusion of the review, the committee’s findings will be summarized in a written decision and submitted to the CFPB’s associate director, who will review the decision and make any modifications as he or she deems appropriate. This decision is final and cannot be appealed any further. What are the penalties for violating the TRID rule? Penalties for non-compliance are severe, and legal/compliance experts have warned that failing to follow the required regulations and processes could mean financial ruin for most companies. What could the CFPB do to violators? If the CFPB finds someone to be in violation of the rule, it has several courses of action at its disposal. The Dodd-Frank Act gives it the power to seek civil penalties, actions for damages, restitution and injunctive relief — and even a combination of those tools. Enforcement of TRID also includes provisions for the private right of action by consumers directly against violators, as granted under the Truth in Lending Act (TILA). What kind of penalties could violators face? Tier 1: For anyone who violated the law through any act or omission, a civil penalty up to $5,000 per day, per violation, or period of failure to pay. Tier 2: For anyone who recklessly engages in a violation, a civil penalty up to $25,000 per day, per violation. Tier 3: For anyone who knowingly violates the law, a civil penalty up to $1 million per day, per violation. Any history of previous violations. Thank you Inman News’ Amy Swinderman for this valuable information. Categories: Financing, Home Buyers, Home Sellers, TRID | Tags: Amy Swinderman, CFPB, CFPB Investigation, Consumer Financial Protection Bureau, Dodd-Frank, Inman News, Lenders, TILA-RESPA, TRID, TRID Compliant, TRID Penalties, TRID Rule, TRID Violations | Permalink. Are You In The Know …Before You Owe? As you are aware, The Know Before You Owe mortgage disclosure rule took place this past Saturday, October 3rd. Please make sure you are prepared for your client’s questions by reviewing the resources provided in this link. As Realtors, you are trusted resources for people choosing to buy a home. 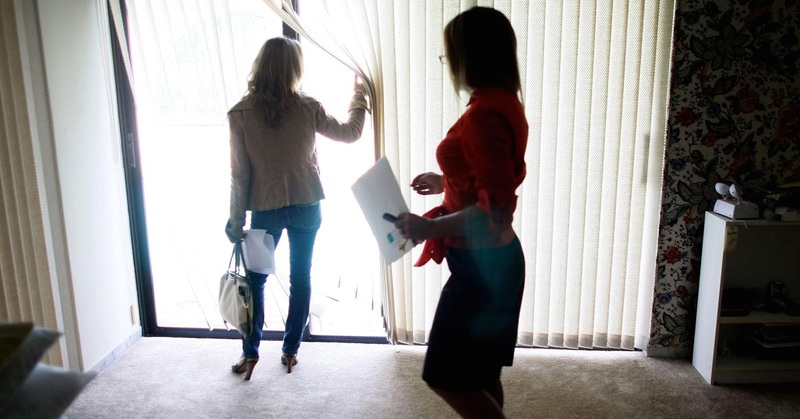 New rules taking effect will change your clients’ home buying experience. Since clients turn to you for help, we want to help you ensure smooth and on-time closings with the Consumer Financial Protection Bureau’s (CFPB) guide to the new mortgage disclosures and process. 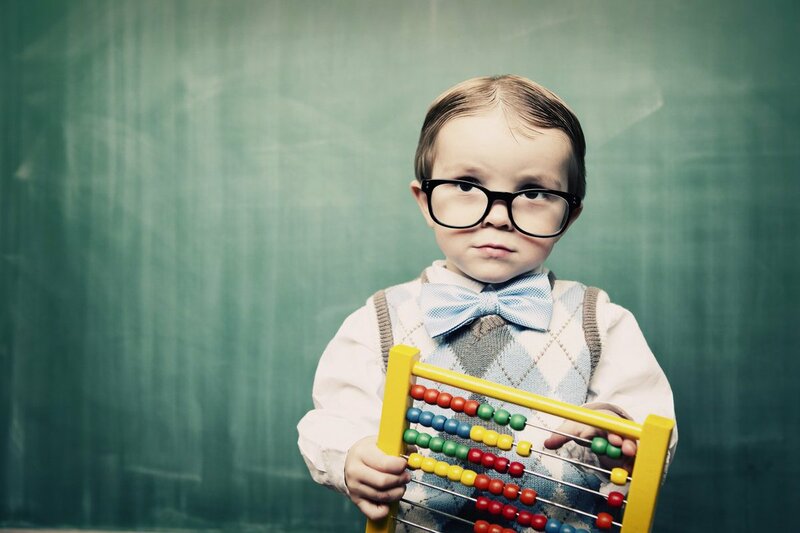 This guide will help your clients to know before they owe. 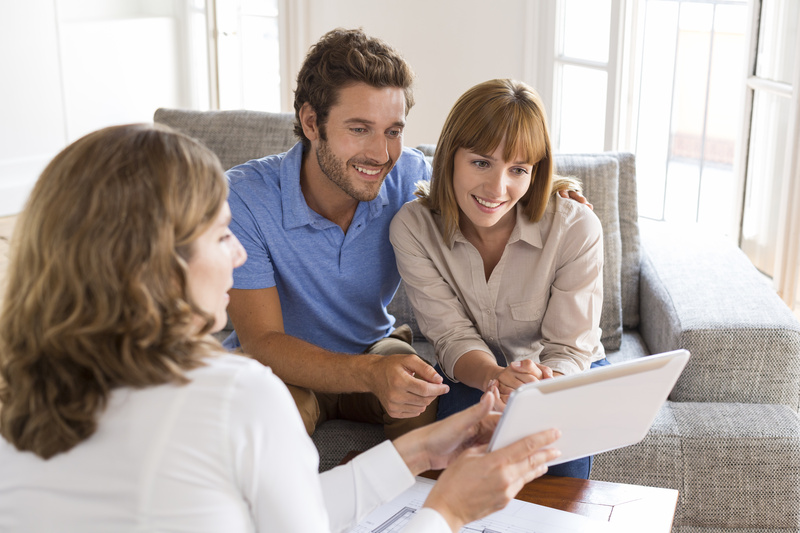 As you know, preparation and communication are the most effective ways you can help your clients have a positive experience when financing a home purchase. Here are five areas you may want to focus your attention, to facilitate the best experience for your clients. The Dodd-Frank Wall Street Reform and Consumer Protection Act required the CFPB to combine certain RESPA and Truth-in-Lending disclosures. So, that’s what we’ve done. Four documents have been turned into two. Now, the pages your clients see at the time of application and at closing mirror each other, so it’s easier to compare and notice changes. Under the Know Before You Owe rule, lenders must give your clients new, easier-to-use disclosures about their loan three business days before closing. This gives your clients time to review the terms of the deal before they get to the closing table. Many things can change in the days leading up to closing. Most changes will not require the lender to give three more business days to review the new terms before closing. The new rule allows for ordinary changes that do not alter the basic terms of the deal. Don’t forget, clients who are engaged, prepared, and knowledgeable are most likely to achieve successful, sustained homeownership. And successful homeowners often become loyal, repeat clients who refer their friends and family. Please give me a call if you have any questions or would like to schedule some training. 727-866-6600. Categories: Financing, Legislation, Title Insurance, TRID | Tags: CFPB, Dodd-Frank, Know Before You Owe, Mortgage Loans, RESPA, Truth-In-Lending | Permalink. 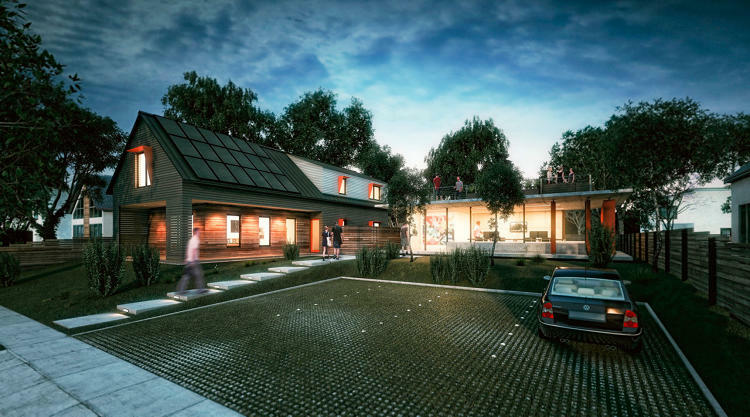 This Zero-Energy Home Is Run By Machines And Costs A Lot Less Than A Regular House. Will this create a new model for how we design houses—and how we build them? 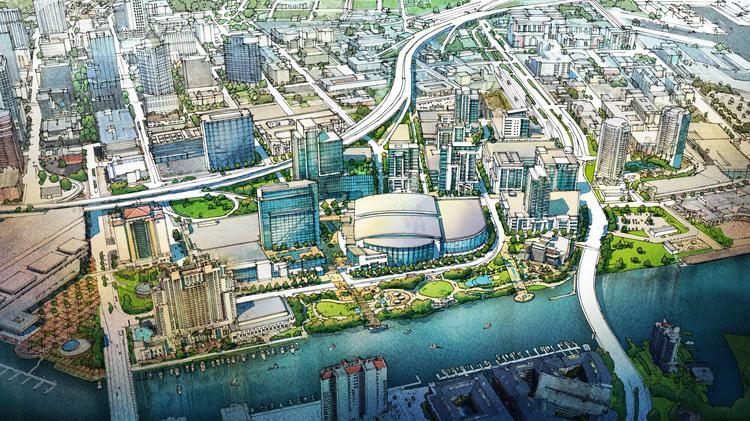 Jeff Vinik’s downtown Tampa district will have a $20M ‘wellness’ focus. “We foresee our Tampa urban district setting a new standard for wellness and sustainability,” Vinik said in a statement. TRID: The changes prompted 5 years ago by the Dodd-Frank law, seeking to help borrowers better understand the terms of their mortgage before signing, may not be a smooth transition. Outdoor Living Spaces and Smart Home Technology Top AIA Home Trends Survey. Emphasis on increased popularity of home technology and the recovery of special function rooms. Categories: Construction, Financing, Smart Homes, Title Insurance, TRID | Tags: Dodd-Frank, DowntownTampa, home design, home trends, Outdoor Living, Smart Homes, TRID, Wellness, Zero Energy Home | Permalink.